Malcolm Brogdon scored 18 points, including a pair of key three-pointers late to help the Milwaukee Bucks knock off the Toronto Raptors 104-99 at Scotiabank Arena in Toronto. 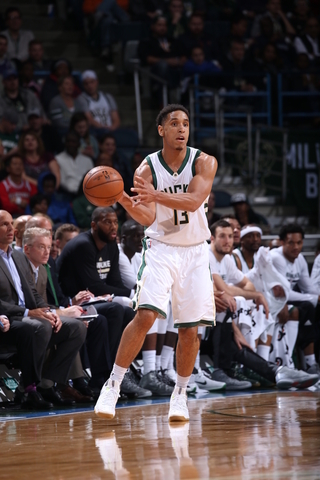 Brogdon’s two three’s came in the final 1:07 with a steal thrown in as well. It helped the Bucks beat the Raptors for the second time this season and it ran their record to 8-0 in games following a loss. Giannis Antetokounmpo had 19 points and 19 rebounds and Brook Lopez added 19 points to the win as the Bucks became the first team to beat Toronto twice this season. Serge Ibaka led the Raptors with 22 points. Kawhi Leonard added 20 points. The Bucks return to the court on Monday night when they take on the Cleveland Cavaliers at Fiserv Forum.